The King of Wands is one of the cards in the Tarot. All the Kings of each of the four suits in the Tarot often indicate an actual person. The Kings are often said to characterise the quality of a mature, wise man. He is mature but expresses it through authority and assertiveness. You know where you stand with the King, for he says exactly what's on his mind. Kings have passion and drive and don’t hold back in offering their advice. They are concerned with results, outcomes and consequences. 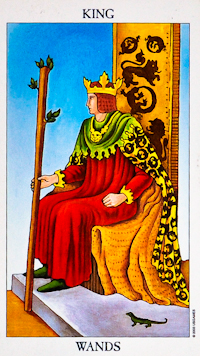 The King of Wands is one of the Court cards in the suit of Wands in the Minor Arcana of the Tarot. 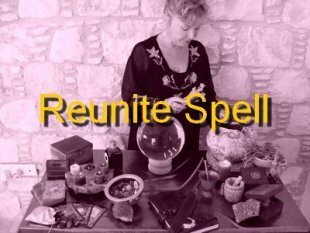 The Wands are also known as Rods or Staves in different Tarot decks. The King of Wands Tarot card meaning usually indicates success and power and taking control. 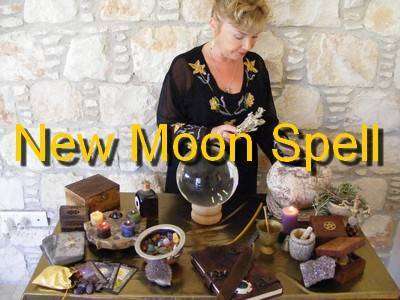 It can be seen as very positive in Tarot Readings and shows motivation to set goals and reach to achieve them. Physically this card describes a man with blonde or red hair and hazel or grey eyes. The King of Wands, as with all the Court cards can be a representative of an individual or aspect of a personality. This card can describe a man who is full of energy, enthusiasm and is very charismatic. He motivates others and is always the leader in any group. People either love him or loathe him. He loves danger, adventure and challenges. His downside can show up as traits of jealousy or impatience. When this card appears in Readings concerned with love and romance it usually indicates a warm, cosy and protective relationship. Feeling secure and loved in any relationship is very important and this card is a good omen of that. The Tarot card meaning for questions concerning career or business in Tarot Readings often means taking control, becoming a leader or acting on entrepreneurial ideas. It is a great omen for business success. The Tarot card meaning for questions related to money and finance usually relates to controlling your finances well. It shows wise judgement in investments and a knack of making money work for you. You could find that an idea you have could be turned into a money making project. When this card appears in Readings concerning health and well being it can show a need to take control of your own health. If you want to feel in optimum heath you may need to look at your diet, exercise and fitness. If the King of Wands is prominent in a Tarot Spread it can show that you are likely to be planning holidays, organising big events, having big ideas, a new career, being motivated to take charge and become the centre of attention.